If you need motivation to get yourself to the gym, how about signing up for an indoor cycling class that benefits ALS (amyotrophic lateral sclerosis) awareness? You'll get a good workout in, while supporting a worthy cause. 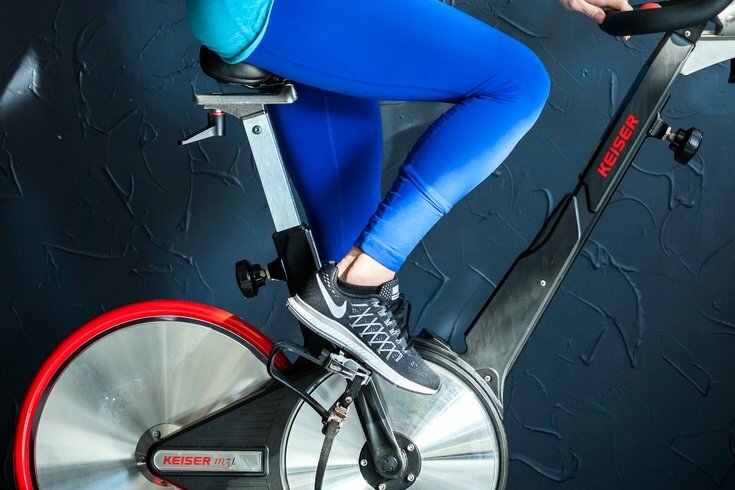 SWEAT Fitness' Queen Village location is hosting the charity spin session on Thursday, Oct. 18, beginning at 7 p.m.
Tickets are $30, with 100 percent of the proceeds going to the ALS Association, a national nonprofit organization. Since the workout is taking place on "Thirsty Thursday," after powering through the cycling class, attendees will be rewarded with a cold Quaker City Shrub. The alcoholic beverage is 90 calories and uses a splash of apple cider vinegar to enhance the natural fruit flavors, eliminating the need for added sugar, so all your hard work won't be undone by indulging in this post-workout drink. Attendees will also go home with a gift bag; its contents are a mystery but free stuff is free stuff, right?